The thought that I used to be a nerd guy that satisfies itself with facing his smartphone, laptop and staying around the four corners of his room is dreary. On this year, 2016, I was transformed into someone to the one. I became outdoorsy, longing for adventures, physically active and it was making me the happiest person in my existence. I also ventured out into a new field where I was luckily recognized that I never thought of. Seemed like life is full of surprises, isn’t it? I’ve been to numerous destinations and most of them are documented in this blog, Four-eyed Laagan. All of them were amazing, uniquely remarkable, gave me different experiences, stumbled and fell, recovered but surely I was all having a blast! Mt. Pulag will always be my best adventure on 2016. It’s like taking final exams yet you are not fully prepared to take. It’s like make it or you’ll be in trouble. It happened last March and this was my farthest and most challenging excursion I had (yet). Mt. Pulag is known to be the 3rd highest mountain the Philippine Archipelago and offers the trendy sea of clouds at the summit. There are three available trails, Ambangeg (executive), Tawangan (bloody) and Akiki (killer and hardest). I was just a joiner to the senior mountaineers of our company and we chose Tawangan Trail because Akiki was close at that time. Since I was the newbie of the group, I was skeptical and motivated to keep up knowing that Tawangan Trail normally takes 6 hours to reach the campsite and another 3 hours going to summit. Our record was 10 hours then 3 hours. Unfortunately, we weren’t able to witness the famous sea of clouds but it was still hands down the best adventure I ever had! #ThankYou to Herbert, Opao and Fiel for letting me join as this was the grand opening for mountaineering in my life. The majestic island had magically captivated me as it amusingly being enchanted with its beauty. The island is known to be creepy but I got to witness the false hearsay. Siquijor was my pre-birthday trip that happened this December. It gave me a pool of reactions and emotions. I was worrisome because this was a solo trip yet I was thrilled and beyond happy with what I experienced. #ThankYou to Kuya Francis for the best guiding services in Siquijor Island and to Chasing Potatoes and James for the online tour guide. The grandeur of Casaroro and the Twin Falls (popularly known as Pulang Bato) had given me countless wows. The rah-rah squad inside me was so loud that it made me outburst with happiness. Also, this was where I got to celebrate the day of my 22nd birthday. Economically insufficient but the eagerness to celebrate my day with the addictive adrenaline made me pursue this trip and I never regretted! #ThankYou to Lakompake group for the online tour guide. The well-known extreme activity in Cebu is the Canyoneering in Badian. There were countless breathtaking jumps, screams, and laughter (not mentioning making it to highest jump in the 2nd level of Kawasan Falls as an ender wohoo!) that made it very exciting. I hope everyone who tried Canyoneering would agree that it was a test of strength, courage, and trust. I was with my workmates from my Department and we had a hell of escapade and #ThankYou for that! The hardest trail and the perfect million star hotel Cebu could offer – Mt. Lanaya. What could I ask for? Lanaya is the one of the best! Difficult trail plus rain showers, it was a legit adventure! No doubt it made my top 10 list! #ThankYou to NCR Trekkers to this brilliant experience! We were lucky as we were blessed with such wonderful experience during our Osmeña Peak climb. We were glorified with a beautiful sea of clouds. Our camping experience was magnificent and lenient because the winds were not strong and the fog was just thin unlike most people would say from their horrible experience as tents could fly! This venture would not make it to the list without traversing to Kawasan Falls. Hiking for four freaking hours with less food to eat and water to drink plus the fiery heat of the sun longing for the icy cold water splashes of the waterfall made it one remarkable experience. #ThankYou to Lakompake group – Wandering Feet PH, Wandering Soul Scamper, and Baymax – for this impromptu yet incredible experience! At least once in my life, I was able to fly like a Superman. Sunod fly like Peter Pan nasad HAHAHA #Dahilayan blog coming up soon at www.foureyedlaagan.com! Being able to fly like Superman and fall down from 120 feet high fulfilled my inner adventurer the rush of adrenaline and it was amazing! We were able to try out the zip lines, not mentioning the longest zip line in Asia and the famous 120 feet high drop zone. It was fun, thrilling, scary but it was all worth it! The recent trip to Dahilayan Adventure Park with my cousins and some friends easily makes it on the list because of the fun and amazing experience. #ThankYou to my adventure-thrilled cousins, Nikka, Malou and Jan, and of course our friends, Nel, Cherilyn, Junard, Abdel and Rauf. That night we went to Dapitan’s amusement park, Gloria’s Fantasy Land. The kids and kids at heart tried out different rides. The thrill seekers group (where I belong) had our loudest screams on while we were being swayed by those huge machines. After the adrenaline-pumping rides, we were being jaw dropped by the world-classes performances during the Night Show. It was full of music, dance, FIRE DANCE and a parade of colors. Unfortunately, the rain drizzled a few that hastened the parade. There was also a fireworks display to close the amazing show. This day of love, fun and amusement really made this trip onto the list. Many #ThankYou loving Aunts, Uncles, All-Star Cousins and cute pamangkins. The idea of exploring the abyss is indeed freaking out but the Adventuregrammers did not let that fear sink in. The struggle was for real and it was my first time! Easily would make it to my list not because it was my first awesome time trying spelunking but the spelunking itself was mind blowing. Awesome #ThankYou to the Adventuregrammers for the invite especially VivoMigsGee, IamJumper, Count_Gabz, NeverBeenDan, and RoyCats!!! Being able to be in three places at the same time is mind blowing that is easy enough to make it my list. The simple beauty of Mt. Mago was perfect for first times. 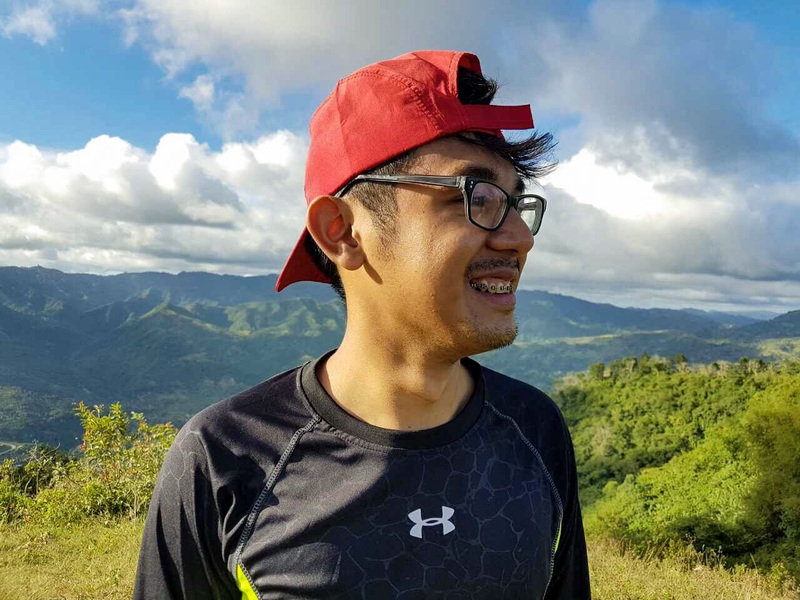 It was my first time joining the amazing NCR Trekkers, camping with more than 30 people, playing the Werewolf game where I was bullied at first but I proved my identity as human instead of being charged as a werewolf and the overall experience with the group. Words could not say how grateful and thankful I am to ALL the people that made my 2016 amazing escpecially the CEBU BLOGGING COMMUNITY, HIGH INTENSITY BLOGGERS (HIBsters) and Bloggers in NCR that helped me enchance my blogging skills. It may sound cliché but it was one of a kind. To be transformed into some nerd into an outgoing, crazy, adventure-seeking someone is an opener to enjoy and explore the beauty of nature was everything and it won’t happen without everyone who took part of my journey. I hope we cross again each others paths and make 2017 another year to remember. 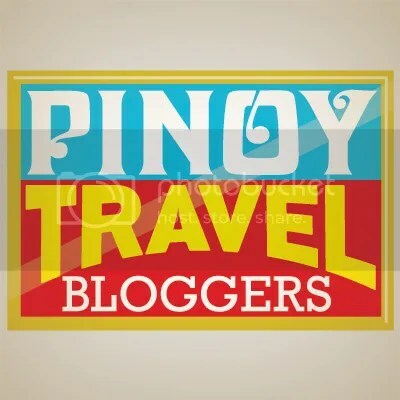 Take a look at #AirAsiaPH’s “From hearts to yours, #Thank You” video that gave me inspiration to write this blog post. Again, THANK YOU and see ya!